I love decorating for fall but it’s been a little tough here this week. It’s been so hot! It’s been in the 90’s all week so I have been blasting the air conditioner to stay in the fall mood. Last week I styled our dining room for fall and this week I added fall decor in our kitchen and living room. 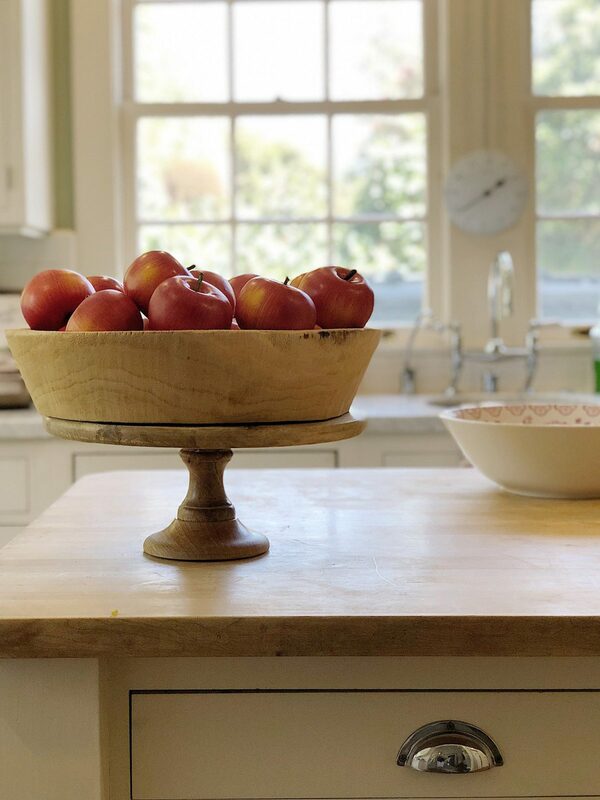 Let’s start with the red apples in the wooden bowl on our island. They are faux (i.e. fake). As you can see, I didn’t add a ton of decor to our home this year. I wanted color so I added most of it via flowers and pumpkins. I love the faux orange and salmon colored plants and they look great! I also added decor in our living room. 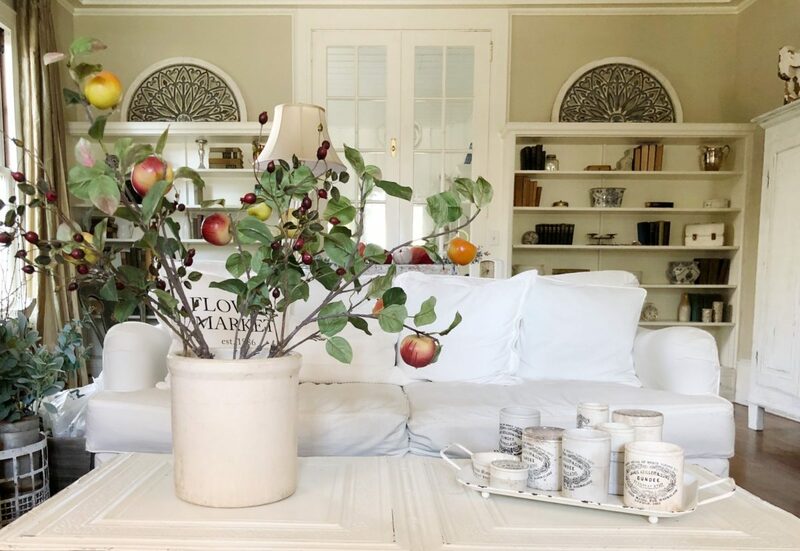 These apples and a lot of my fall decor were all purchased quite a few years ago. As you can see I love the simpler decor. 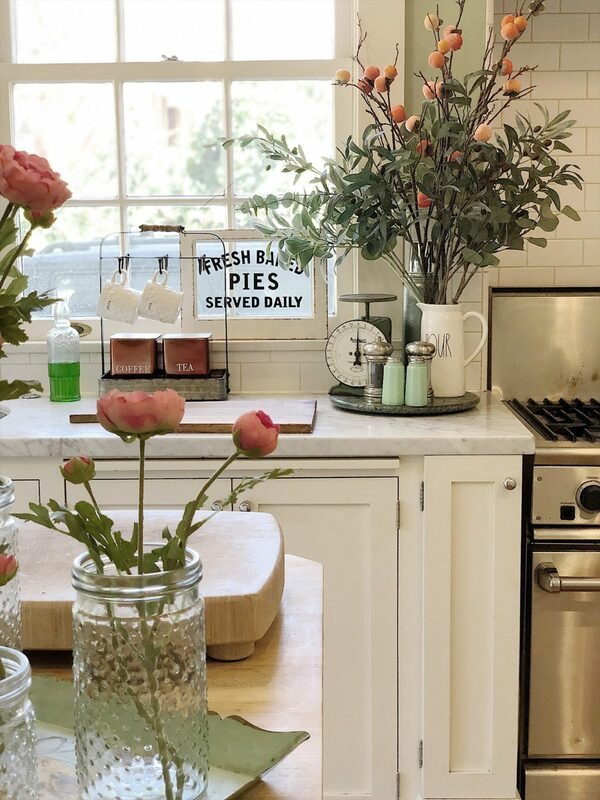 I purchased this white crock and four of these English advertising pots at the Rose Bowl Flea Market last Sunday. 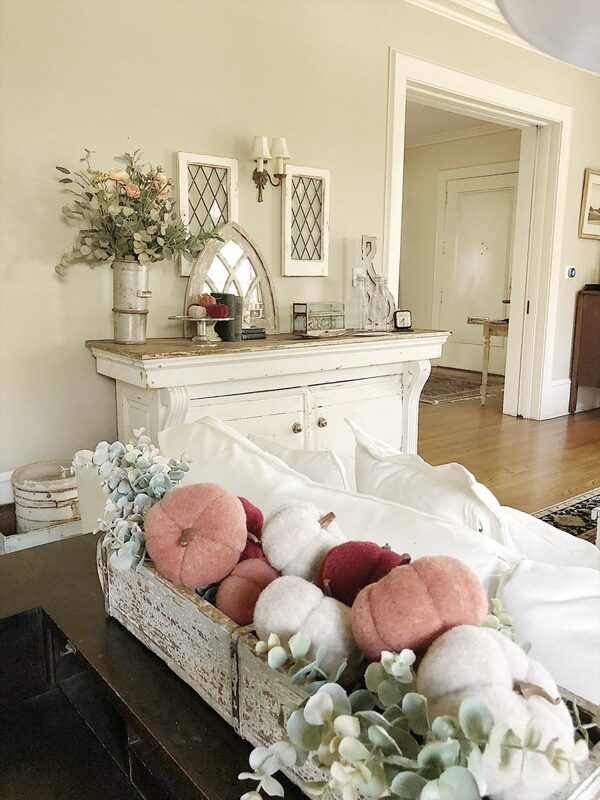 My plan for my fall decor was a color palette based on these velvet pumpkins I bought at JOANNE’s stores. I love the salmon, magenta and off-white colors. Oh my goodness! I love this cabinet in our front room. Just a pop of color does make a difference. Don’t you think? 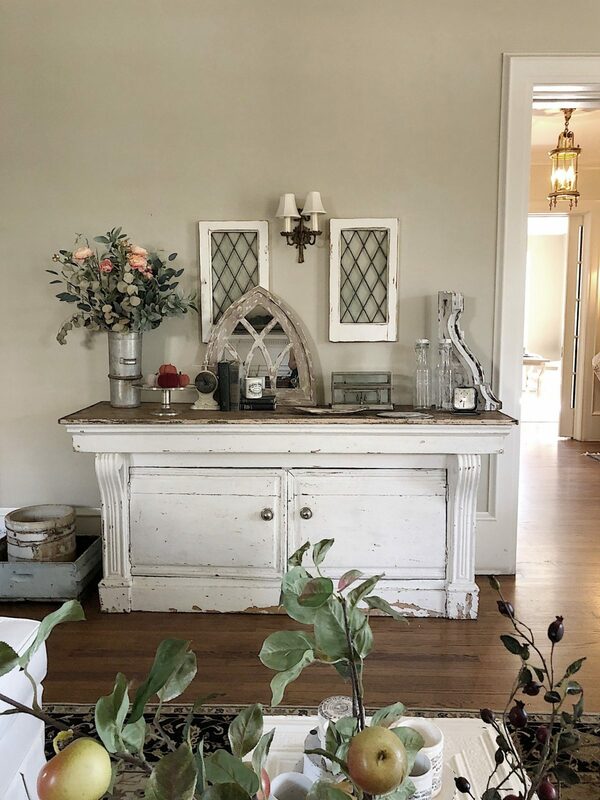 The mirror on the cabinet is from Antique Farmhouse. I went and bought some more pumpkins at JOANNE’s. I love these fabric pumpkins. Now our house looks even more ready for fall. I know it’s simple but I do love it. What do you think? I hoped you enjoyed my blog post today. 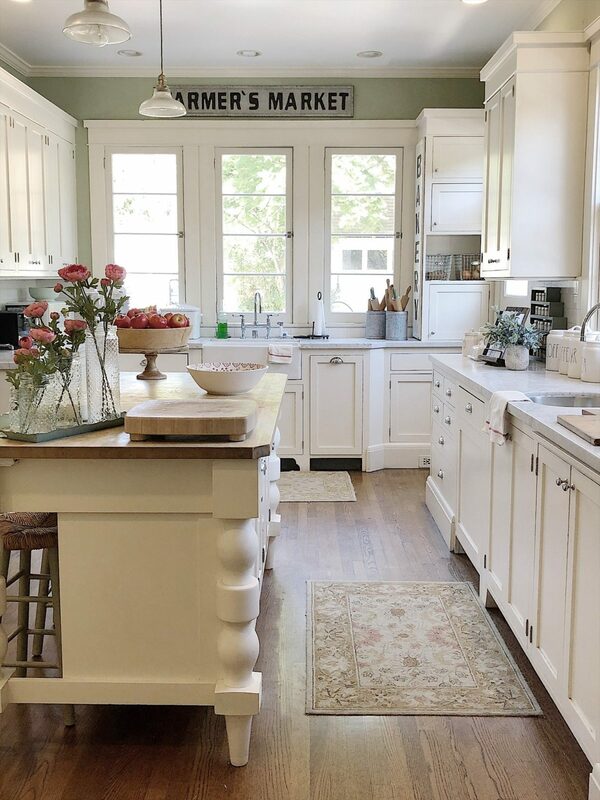 Next, you are going to want to go to head on over to Natalie @vintageporchdesign. She has a beautiful feed! 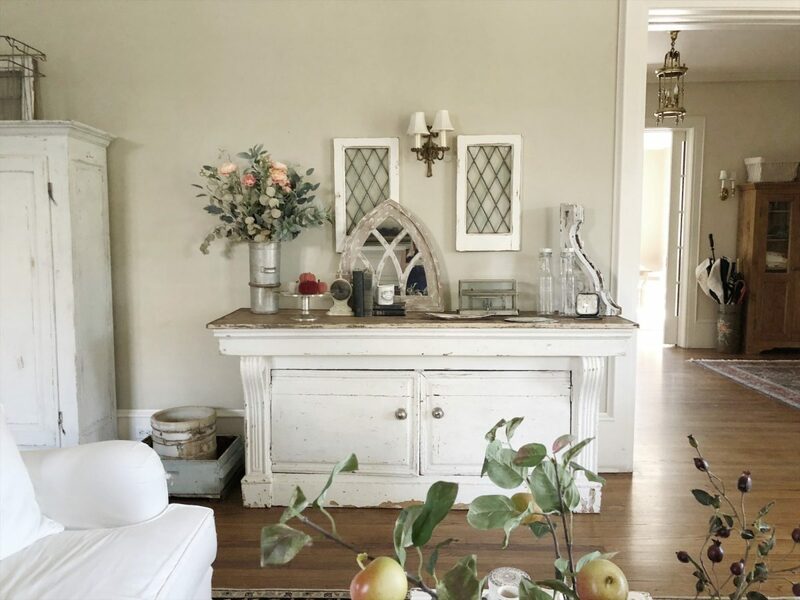 Just look at these amazing inspirational rooms created by some of my Instagram friends. Wow. These really are beautiful. My word Leslie, this is gorgeous. 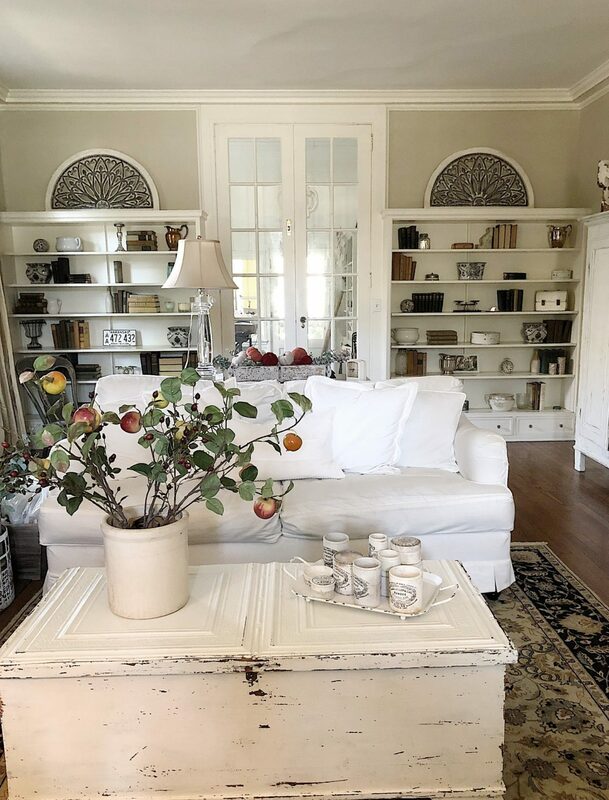 I love your use of florals throughout your home and I need to buy me some faux apples!! Just gorgeous my friend. So gorgeous Leslie! I never would have thought those apples are faux! 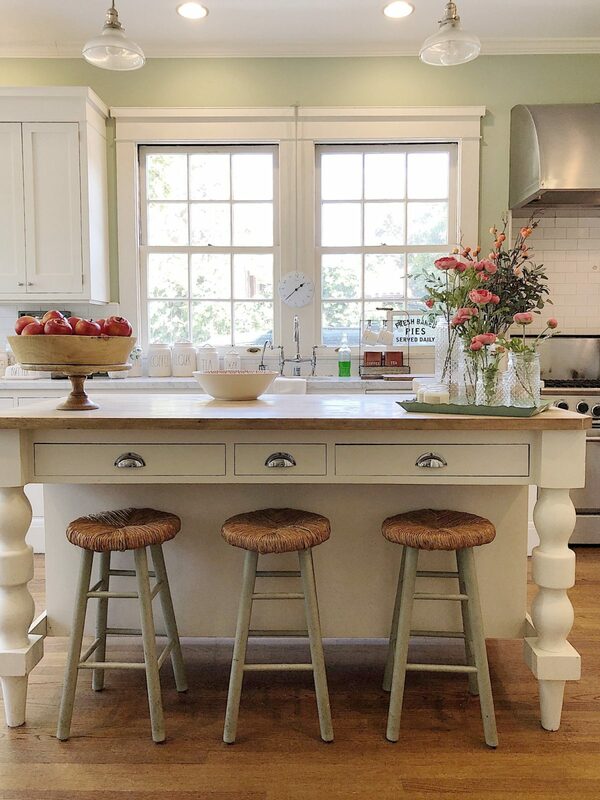 I love how you incorporated natural elements throughout. Leslie this is just the perfect fall tour. 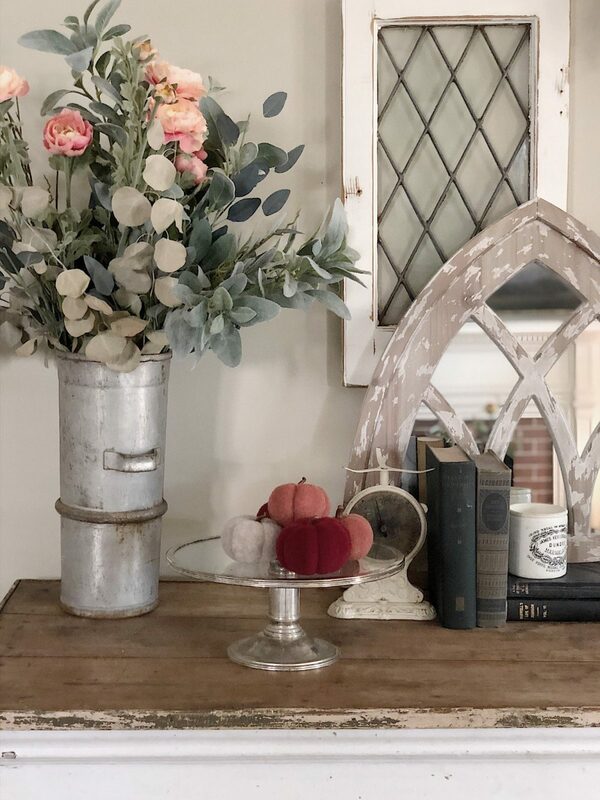 I love every single detail from the apples to the pretty florals. 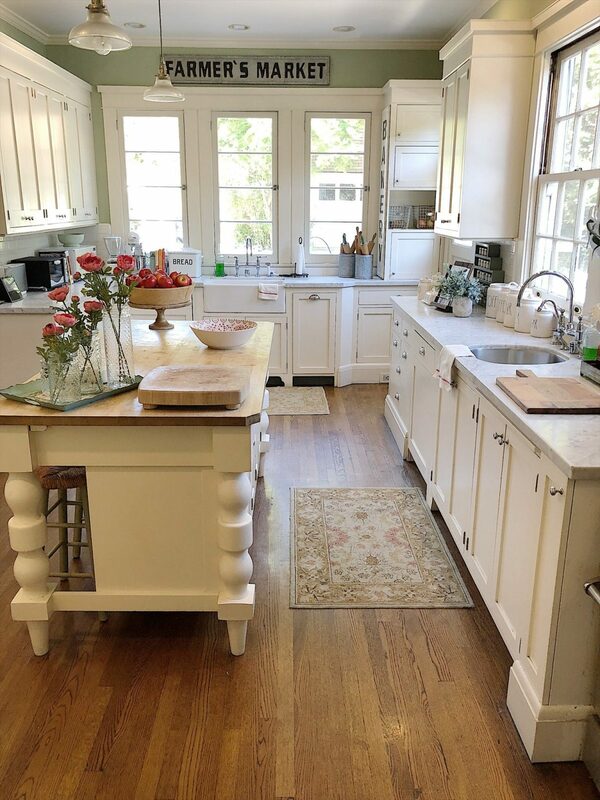 My heart skips a few beats and goes into partial tachycardia every time I see your kitchen! Love your tour my friend! I want that island so so bad. it is perfection! 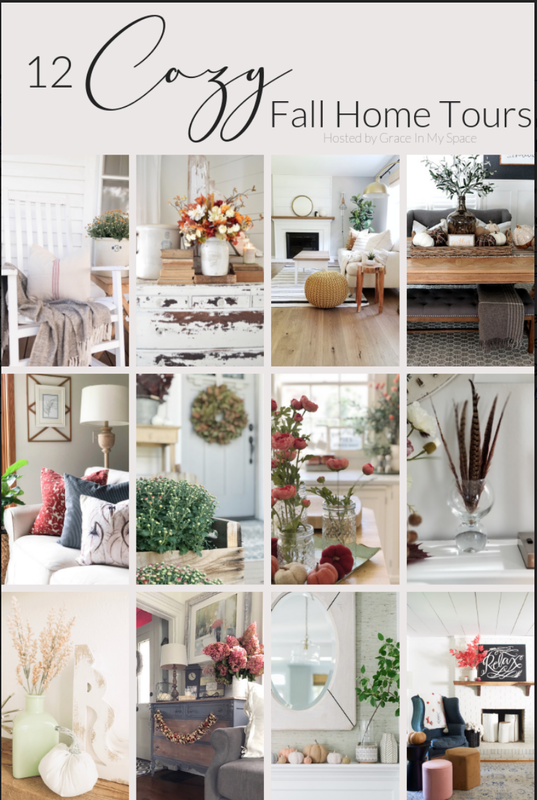 Love your Fall styling!! Where are the mini tobacco baskets from? I saw your Instagram story today? 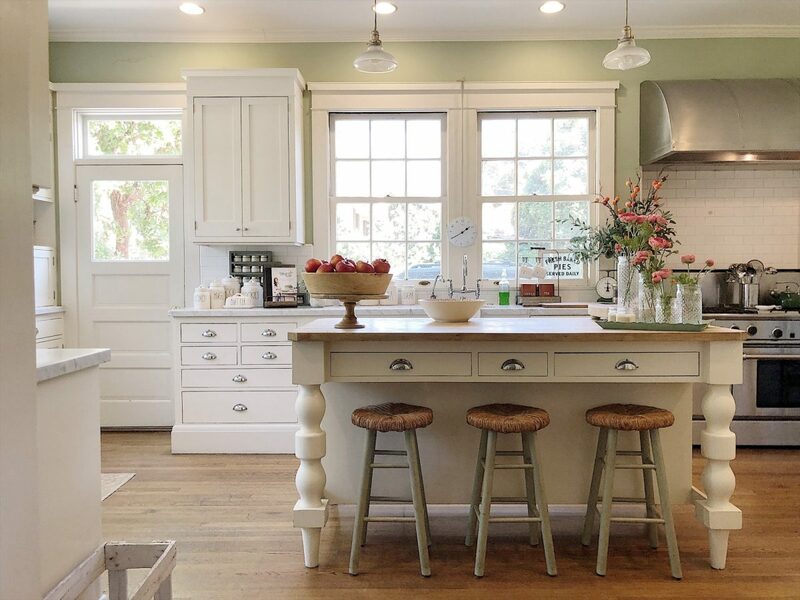 Your kitchen is lovely Leslie! All soo beautiful for fall! It’s just all so gorgeous!! Love the colors you used!! So beautiful! Everything looks beautiful! Loving the colors of the pumpkins! Oh my goodness, this is perfectly, beautifully, enchantingly fall! Gorgeous!